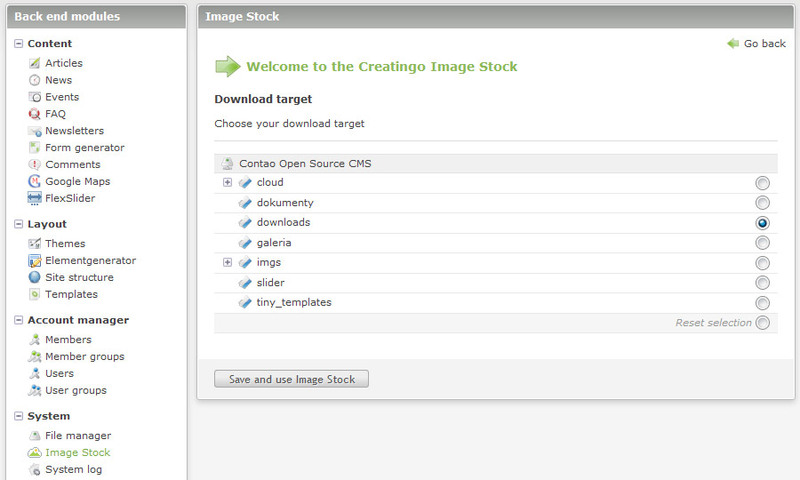 The Creatingo connector is free extension for Contao CMS. You can install it from Contao Extension repository by default or from packagist.org by using Composer - it depend on you which way you will choose. There are no additional system requirements for connector installation or run. 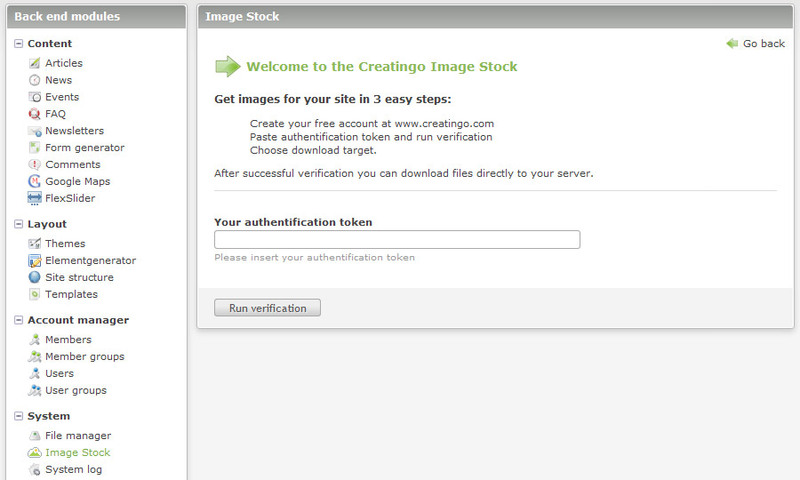 Before you will install Creatingo connector, we recommend you to create free account on the creatingo.com. Membership is required to receive an Authorization Token, which you will need for verification on the initial run of the connector. 2. Sign in and receive your Authorization Token. You will find it in "My Account" section. 3. Install Creatingo connector extension in your Contao's back-end. 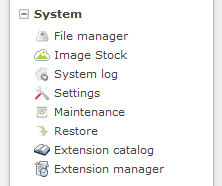 After successful installation "Creatingo Cloud" appears in Back-end modules -> System (left column on wide screens). 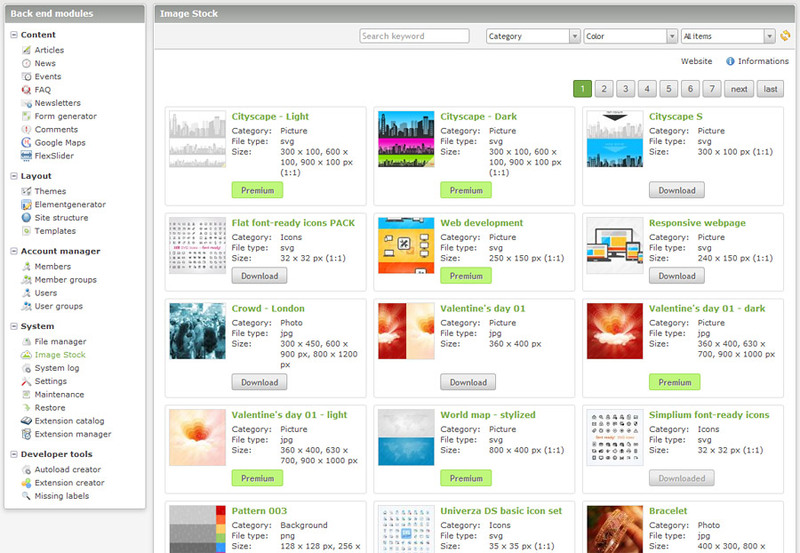 Before you select it we recommend you to create new folder in the File manager. 5. Choose your download target (initial run only) and save. After following these steps a list of items will appear - these are ready to download and use. Creatingo Contao Connector is developed by netzmacht creative.